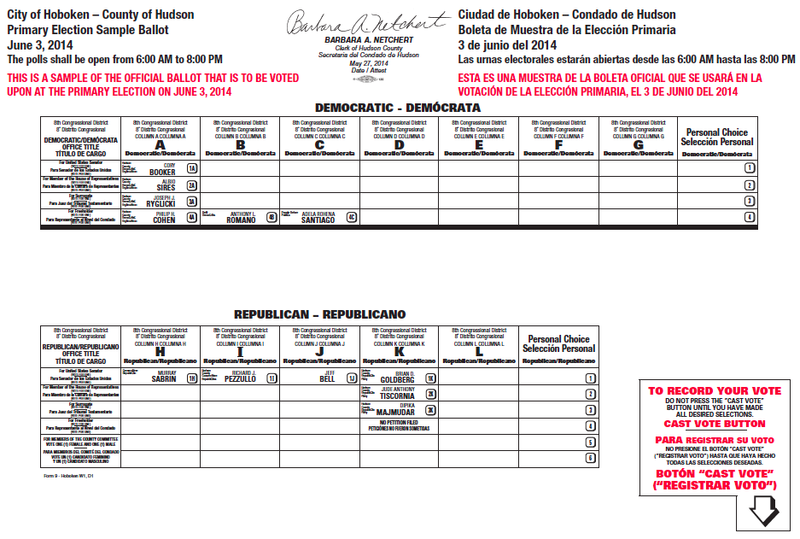 Here is today's ballot. Please be sure to tell your friends and family it's a critical election today. The Hudson County budget is over a half a billion dollars annually and Hoboken is seeing huge tax increases each year.